Browse through 40 years of some of our ideas here. Bar coded inventory for your warehouse. units until you need them. 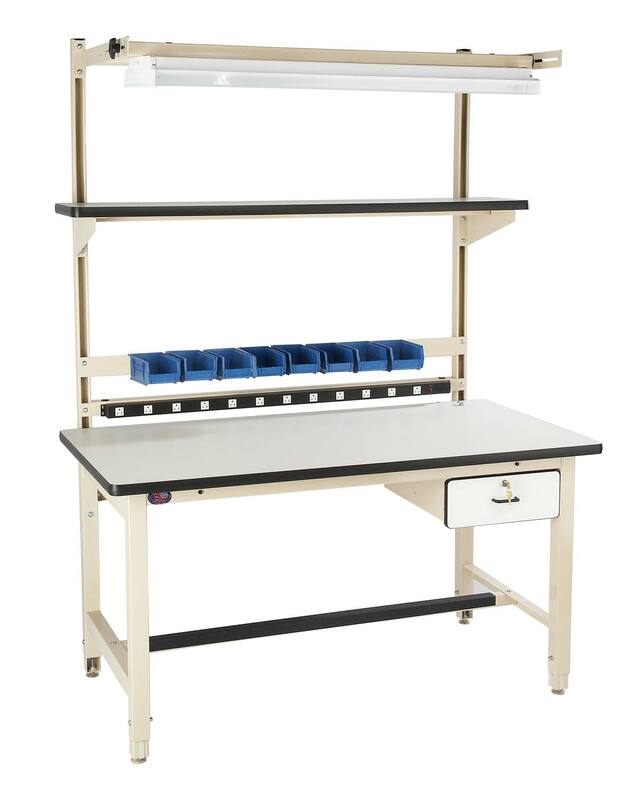 Plastic Laminate Bench, weighs 260 lbs. 12 Outlet power supply. Overhead Adjustable Light. 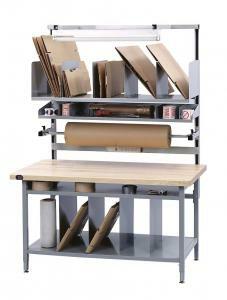 12" x 60" Laminate Shelf. Bin Holder. 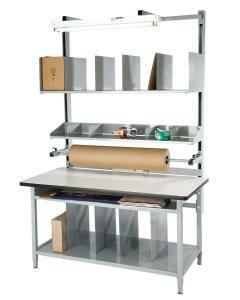 Same but 72"L x 30" D. with Plastic Laminate. Same but 72"L x 30" D. with ESD Laminate. 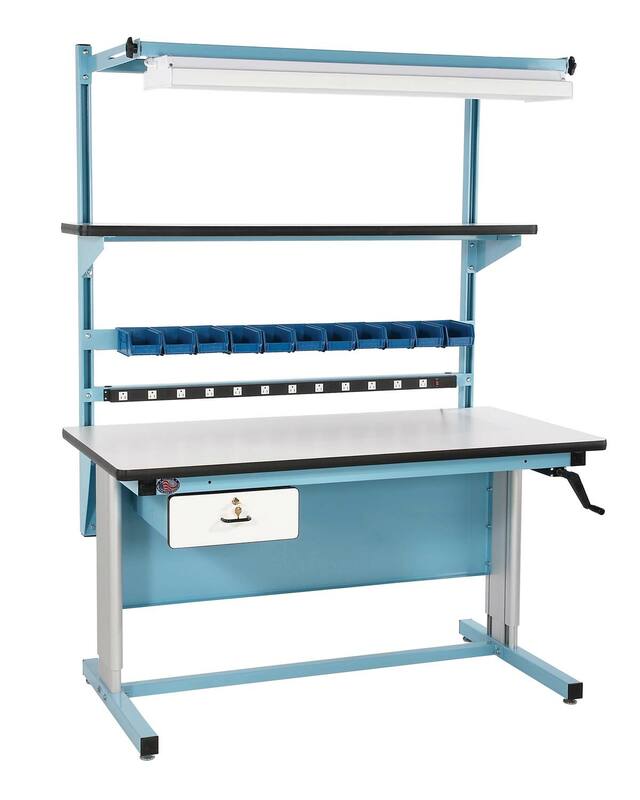 60”L x 30”D x 30” to 36”H Pack Bench. Storage Shelf with 4” clearance. 60” x 18” Corrugated Storage Shelf. 120 volt 15 amp power supply. 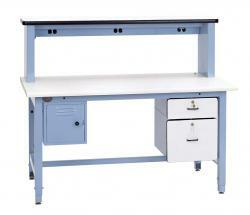 72”L x 30”D x 30” to 36”H Pack Bench. 72” x 18” Corrugated Storage Shelf. 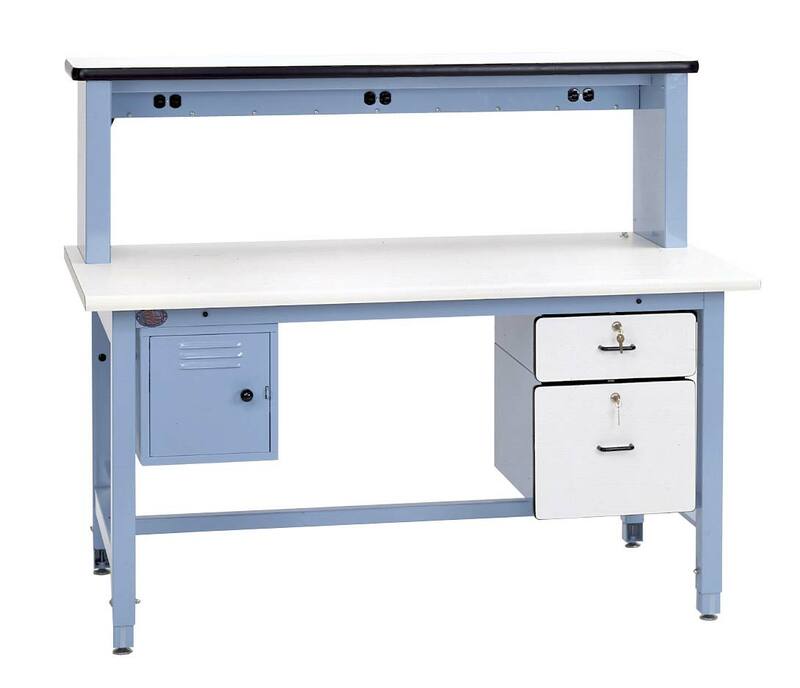 60”L x 30”D x 30” to 36”H base bench. 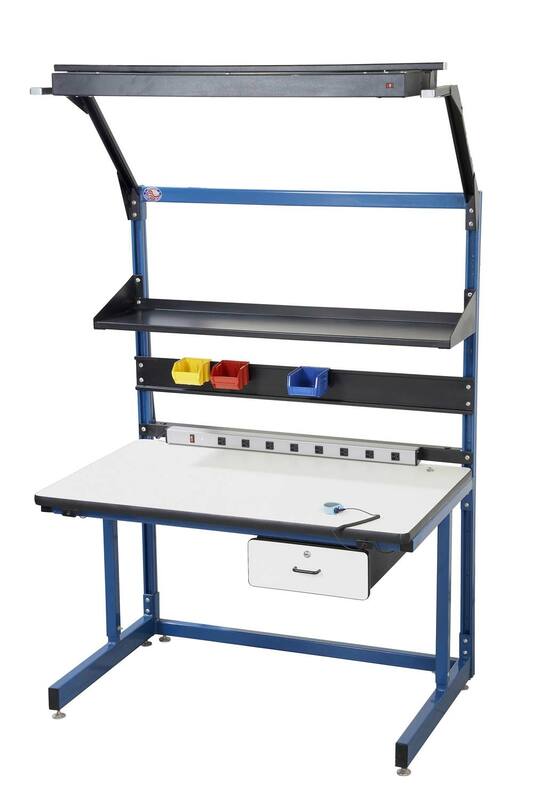 Riser 60”L x 12”D x 18” H with built in outlets. Footrest. 90 degree rolled front edge. 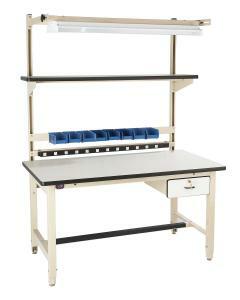 Height Adjustable Ergonomic Base Bench. 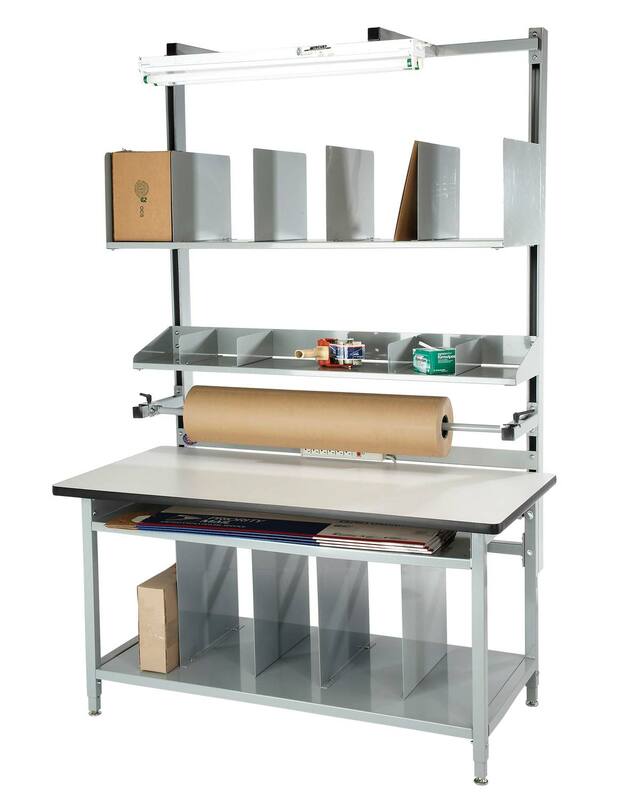 60” x 12” Cantilever Shelf. 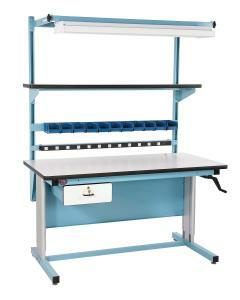 ESD Laminate Height Adjustable ESD benches. 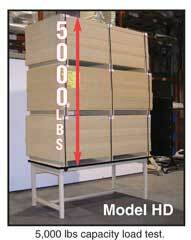 72” x 12” Cantilever Shelf. 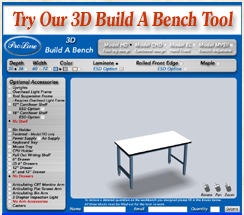 60”L x 30”D x 30” to 36”H base bench. 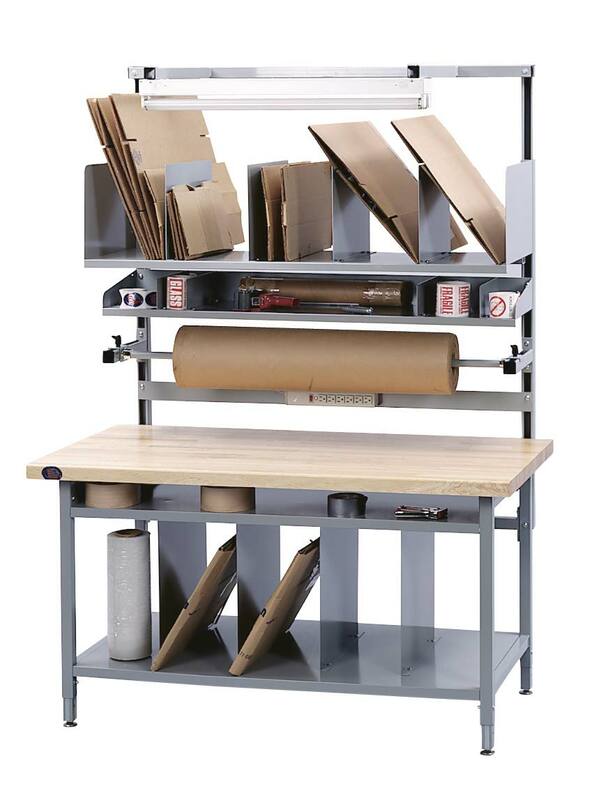 Power supply, Bin Holder, 6” drawer, Bin Holder, 12” D shelf, deluxe light fixture. Two tone color scheme dark blue frame with black options. Same items as listed above with ESD Laminate. 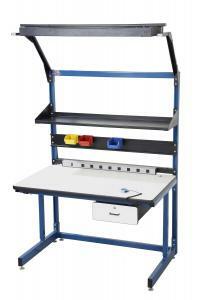 for height adjustable ESD benches.